<< Part 1 – Should You Buy Insurance? What Do Pet Owners Spend On Vet Bills? According to the American Pet Products Association’s Annual Industry Report for 2017, pet owners in the United States spent an estimated $16.62 billion on vet care. 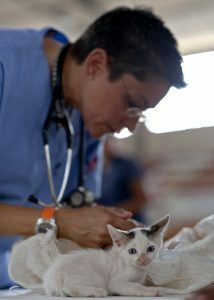 We know we’re going to spend money on routine vet care for our pets, but it’s those emergencies, accidents and surgeries that often take us by surprise financially. According to PetFirst Pet Insurance, here is a list of the top ten ailments for dogs and for cats and their cost. As you can see, the cost of these conditions could be paid for out-of-pocket. But, it’s the emergency vet services like fixing broken limbs or treating chronic illnesses that will lead to higher veterinary bills. Healthy Paws Pet Insurance reported in their blog in October of 2017 that a dog with growths on its skin could cost anywhere from $60 to $6,000. The cost, of course, depends on the type of growth and treatment an owner opts for his dog. Chemotherapy alone can range from $5,000 to $10,000. They also stated that cruciate ligament injuries can cost up to $6,500. This is quite a range, but pet health insurance was made to help in these extreme cases where costs for vet care can skyrocket. There are many companies offering pet health insurance, but they typically have the same types of coverage: Accident only, Accident and Illness, Comprehensive plans that include Wellness, and Riders to be attached to any plan. You would need to compare what companies offer based on your pet’s needs. Accident only plans cover just that – accidents. These include poisoning, open wounds, ligament tears, injuries related to auto accidents, broken bones, ingestion of unusual objects, etc. Accident and Illness plans cover everything accident plans do plus illnesses such as cancer, digestive issues, infections, diabetes, etc. Comprehensive plans that include Wellness may cover accidents, illness, as well as regular check-ups, vaccinations, dental care, or other regularly occurring vet needs. Riders attached to Pet Health Insurance plans can include Wellness options, cancer coverage, etc. and vary by company. 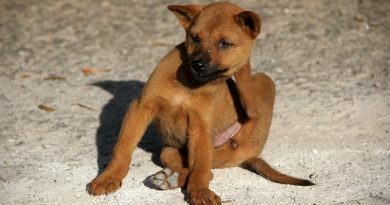 NAPHI also stated that in 2016 accident and illness plans generated an average premium cost of $496 annually per pet. Accident only plans were about $163, on average, annually per pet. In March of 2016, Consumer Reports recommended that people should skip the Wellness plans since those vet visits were cheaper to pay out-of-pocket over time, rather than as part of a premium. Again, take into account your pet’s age, health, activity level and what you feel you would be able to pay out of pocket for medical care for your pet. This should guide what type of policy you may want. …take into account your pet’s age, health, activity level and what you feel you would be able to pay out of pocket for medical care for your pet. This should guide what type of policy you may want. Other factors come into play when comparing pet health insurance plans. You should look for what is actually covered, deductibles, how the company reimburses you, any caps on payouts, and customer reviews. 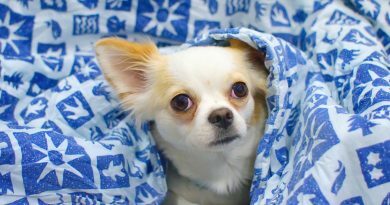 What a plan covers, or more importantly, what a plan does NOT cover is key to finding the right plan for your pet. Get a copy of each plan you are considering. Read the fine print carefully. Most plans do not cover pre-existing conditions, hereditary and congenital conditions. Interestingly though, Trupanion has limited coverage of hereditary and congenital conditions, but they ARE covered. You can get a comparison of plans at PetInsuranceReview.com. Know your pet. Pure breeds and large breeds are often more expensive to cover due to the amount of health issues they frequently have. Veterinarians are good resources to ask about breed-specific health problems and the cost of those in your area. Deductibles are either annual or per incident. Typically an annual deductible will reimburse you more in a year than per-incident deductibles. Meeting one deductible is more cost effective than meeting one for every ailment in which you take your pet to the vet. Most companies reimburse you AFTER you file a claim. Therefore, you need to take your pet to the vet, pay the vet, file the claim with your pet’s insurance company and wait for them to send you a check. However, some companies do pay vets directly so you don’t have to file a claim and wait for reimbursement. Most pet health insurance companies do put caps on payouts. However, how this is applied may vary. Payouts can be capped per incident, per year or over the pet’s lifetime. But, there are some companies that do NOT have caps on payouts. Again, read each policy carefully before buying. Always read customer reviews. They are helpful when finding information on exclusions, reimbursement time, and customer service when dealing with each company. You can look at many customer reviews for multiple companies at PetInsuranceReview.com. 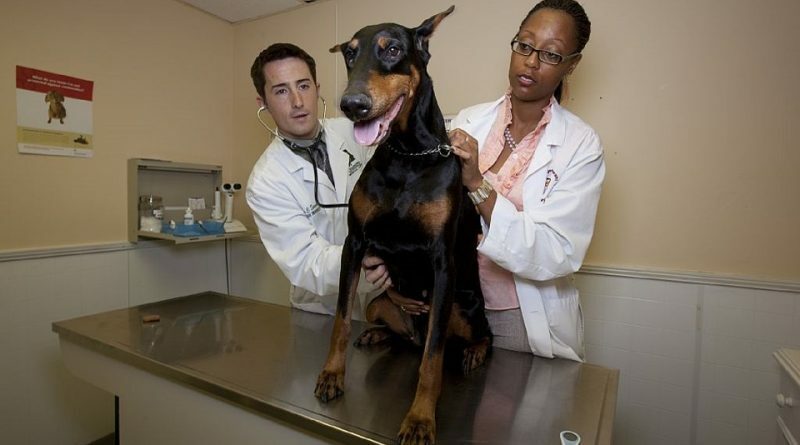 You may even want to talk to your vet to find out his or her experience with different pet health insurance companies.